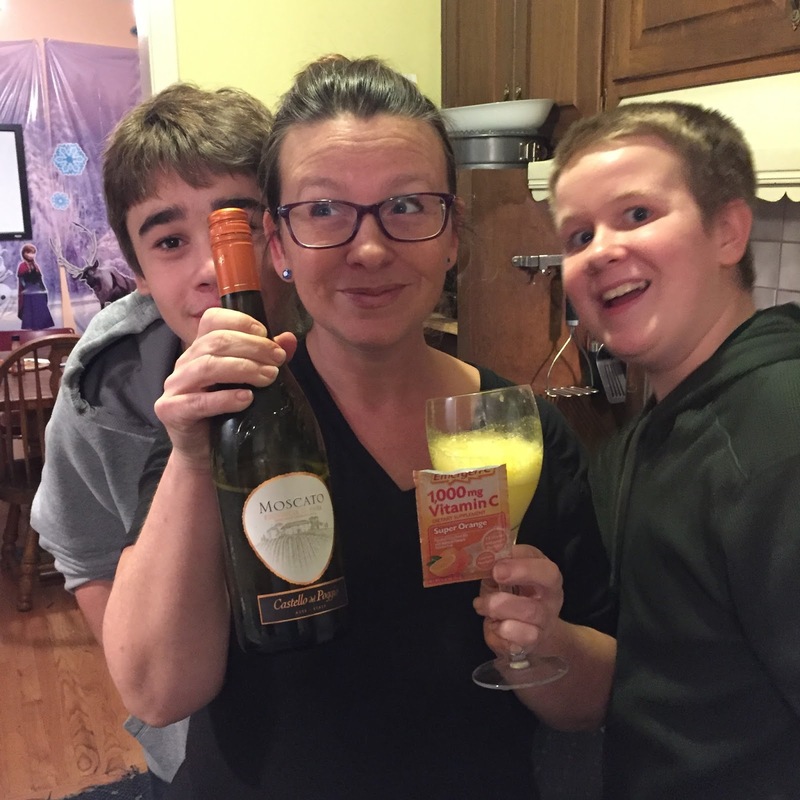 The Kerrie Show: Moscato and Emergen-C ... Healthy Alcohol! Moscato and Emergen-C ... Healthy Alcohol! Okay, so I discovered something cool. Maybe it's been done before but I figured it out on my own and dig it! I RARELY drink alcohol. Maybe some moscato in the summer and every now and then I might try it again but I don't like wine or beer or hard liquor of any kind. Still, I like things to be multi-purpose as much as possible. 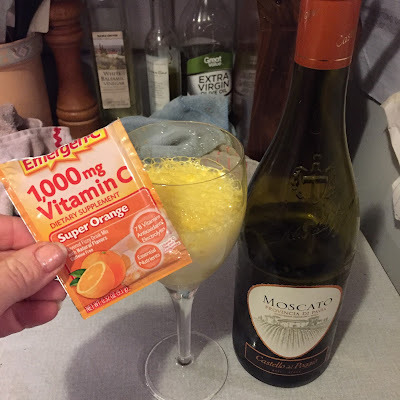 We've been feeling a little yucky around my house lately and the Emergen-C is free-flowing (miracle product, especially for those of us who are older and slower to heal and get better from illness). I figured, why not mix my moscato and Emergen-C? My friend Jill's son and my own son (besties) getting ready to leave for a movie (Star Wars). They always have time to pose for a picture! Any flavor will do and probably you can put it in any kind of alcohol. I imagine something like vodka with an Emergen-C packet would make your hangover not so bad, but I haven't had a hangover since probably 1990, so what do I know?